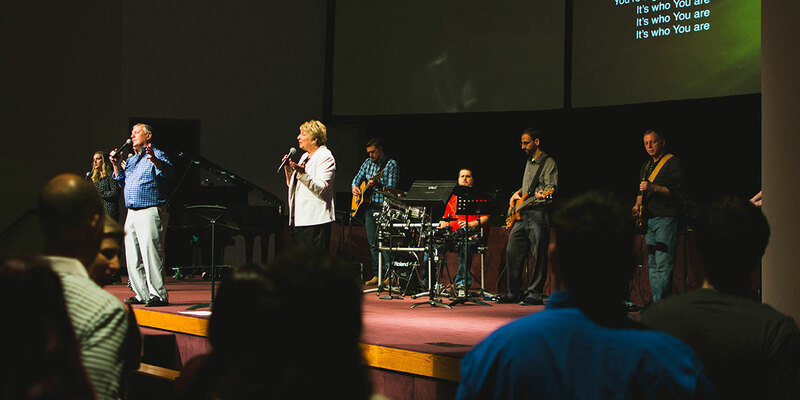 You can expect a welcoming experience at Christ Community Wesleyan Church. You will enter the church and be greeted with a smile at the door. We have a welcome center that can answer any questions or direct you where you need to go. Our services include worship music and a message. The entire service lasts approximately one hour. The music is led by our worship leaders and a live band. The message delivered is always biblically based and applicable to your life. You can expect to be encouraged, challenged and equipped by what you hear. Do you like coffee and doughnuts? Plan to arrive at least 15 minutes before the service starts. This will give you time to park, check your kids into their classrooms and grab some coffee. The auditorium will be open and ready for you to find a seat! There is no need to dress to impress! We dress casual and comfortable. Come in what you have and come just as you are. THRIVE Kids Ministry provides age-appropriate classrooms designed for children birth – sixth grade to grow and thrive in Christ! THRIVE is led by staff and volunteers dedicated to care for and love on your child week after week. We utilize a check-in system to ensure a safe environment for your children while you are in service. Check out the THRIVE Kids Ministry page for more details. Any other questions, please don’t hesitate to contact us.